I realize that every time I say, “I like black people because….., or “I like soul music…” inferring that that connects me to all black people,..that I am generalizing, stereotyping, maybe patronizing, idealizing, and exoticizing (okay, so that’s not a word), too. I know not all black people like to, or even can dance, and I know there are a lot of black people who would rather listen to, say, Garth Brooks or Metallica, than Jay Z or Mary J Blige. I know this, and am poking fun at myself, or maybe really experiencing white guilt, for entertaining such thoughts and feelings. Please forgive me. Thank you. Say hi to all the black people in the room before I say hi to the white ones. 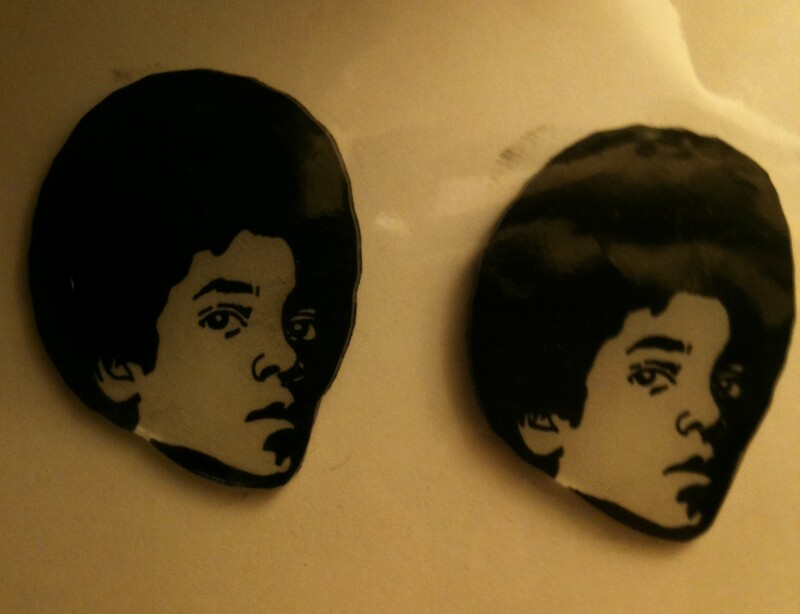 Wear my Michael Jackson earrings with my hair tied back in a ponytail. Attend cultural events, like gallery openings, author talks, documentary film screenings, museum exhibits that feature black artists and subject matter. Smile smugly to myself that I am a champion of diversity in the arts. Once in a blue moon, dress all funky like Lauryn Hill from her Miseducation album era. Feel hip when I go to soul food restaurants when in a place that has them, even though because I’m a vegetarian I can’t eat half the menu. Read books by black authors, either novels, or non-fiction books on topic of race, and be sure to pull the book out in a public place, like an airport or cafe, when black people are around. Act all casual when talking with someone who is black, like I’m not super delighted that I’m talking to a black person, even though my obsession makes me feel super delighted that I’m talking to a black person.